petition: Stand In Solidarity With The LGBTQ Community in Brazil. Their Next President Is a Threat to Their Rights. Brazil holds the title of being the most dangerous country in Latin America for gay and trans people. Last year alone, 445 LGBTQ Brazilians were killed due to hate, a 30% spike from the year before. That dire news is followed by the looming threat of a new president who has openly expressed disgust and encouraged violence against people of the LGBTQ community. Ex-soldier and current congressman representing the state of Rio de Janeiro Jair Messias Bolsonaro won the presidency with 55% of the vote. But while millions around Brazil celebrated, others wondered how their lives would change under a president who is outwardly hostile to homosexuals. "Come January, I'll have the pleasure of killing f-----s like you." According to the Washington Post, three trans women were stabbed to death by men yelling the president-elect's name. There is no mystery why people now think they have a license to maim and kill. Bolsonaro himself has said that "parents should beat the gay out of their children" and that he would "rather have a dead son than one who is gay." Our gay, lesbian, bi, queer and trans friends brothers and sisters are under threat. As we have seen in the United States, our leaders' words mean something. They can foster inclusivity or create scapegoats out of marginalized communities. They can encourage peace or provoke violence. Unfortunately, Bolsonaro has decided that he will do the latter. Bolsonaro's rhetoric must stop. He is lending tacit permission to thugs who wish to do harm to a community already under threat. As president of Brazil, he has a duty to protect all Brazilians, not just the ones whose sexuality he approves of. Stand in solidarity with our friends who are under threat in Brazil. 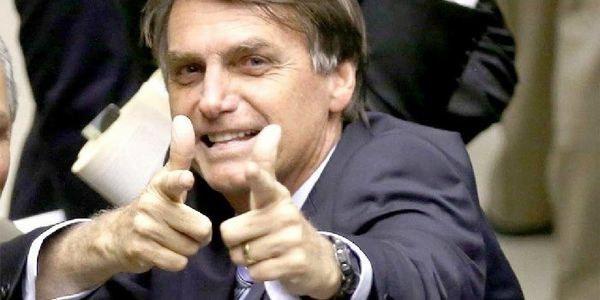 Sign to tell Bolsonaro you are watching and that the hate must end. Tell him to protect LGBTQ rights.